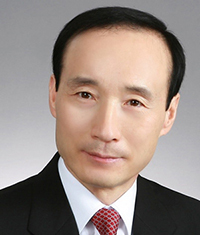 5G networks are meant to support three usage scenarios: enhanced mobile broadband (eMBB), massive machine type communication (mMTC), and ultra-reliable low latency communication (URLLC). These capabilities make it practical to provide various new services such as V2X and factory automation with IoT. 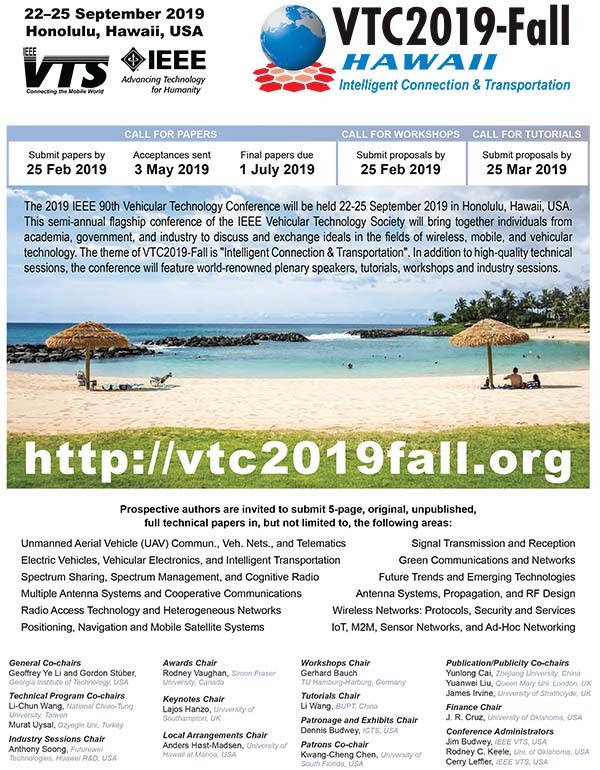 IEEE VTS actively participates in the IEEE Future Networks Initiative, which strives to address the challenges of next generation wireless technologies. As a part of this activity, IEEE 5G World Forum (5GWF) 2009 will be held in Dresden, Germany, 30 Sep – 2 Oct 2019.AI and machine learning currently attract lots of attention due to their potential in problem solving. In particular, deep learning would open up new opportunities in wireless communication beyond maximum likelihood detection. Although its complexity might be challenging, future solid-state technology could overcome that obstacle. VTS needs to embrace this new area of interest. Having successfully launched its new regional conference, IEEE Wireless Africa 2018, VTS is planning to hold the second one this year. IEEE Wireless Africa 2019 will continue and expand this new platform for technical exchange for wireless experts in Africa. IEEE VTS added a new team last year—the Ad Hoc Committee on Drones—to address the area of drone connectivity. It will organize the first VTS workshop on drones: “Swarm Intelligence: Autonomous and Connected Unmanned Aircraft Systems,” to take place at IEEE VTC2019-Spring in Kuala Lumpur, Malaysia.